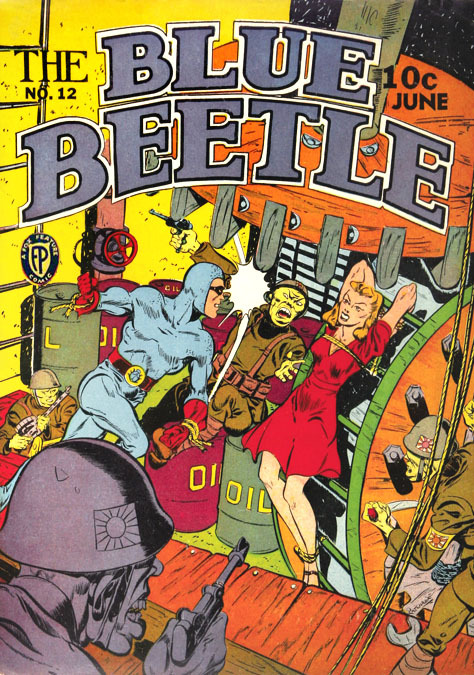 Roland Joseph Patenaude was born in July 11, 1912 in Trois-Pistoles, Quebec, Canada. His father, Alfred Patenaude, was born January 20, 1885 in Manville, Rhode Island. His mother, Marie Arzelie Helene Leblond, was born in 1886 in Quebec, Canada. His parents married in Canada in 1908 and moved to Providence, Rhode Island, where the father worked as a weaver at a cotton mill. In 1911, when his parents were expecting the birth of their first child, they moved back to Quebec to give birth in the familiar comfort of the maternal grandparents' home. On March 10, 1911 his older brother was born, Alfred Victor Adrien Patenaude. The family remained in Quebec and one year later on July 11, 1912 he was born, the second of his parents' two children. The children were raised in Canada. By 1927 both sons had finished schooling and entered the work force. The older son, Adrien, worked as a mechanic and Roland worked as a clerk. In 1928 his parents returned to America. They lived at 100 Gobeille Avenue in Woonsocket, RI, where the father worked at a cotton mill as a loom-fixer. He eventually became the mill Supervisor. Six years later in 1934 Roland and his older brother Adrien joined their parents in Woonsocket, where all four lived together at 592 Clinton Street. It is not known where he studied art, but from 1936 to 1938 an art student named "Patenaude" from "Woonsocket, RI" was listed as attending the Rhode Island School of Design, however this student's first name is listed as "Maurice." 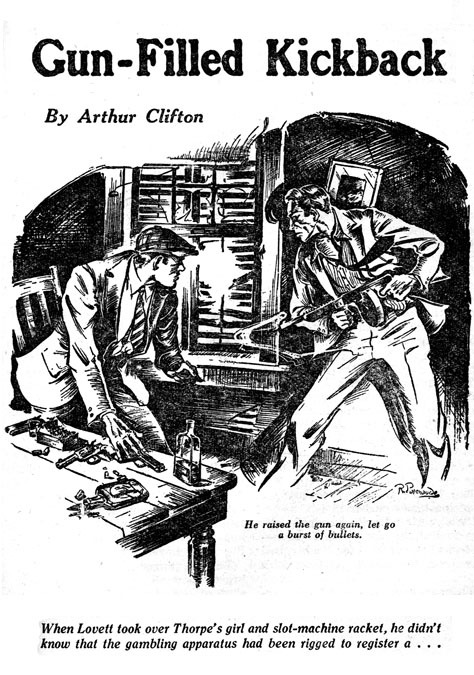 In 1938 Roland Patenaude began to work as a clerk at the cotton mill, but he also began to sell pen and ink story illustrations to pulp magazines that were published in New York City. In 1940 he moved to NYC and lived at 342 West 85th Street on the Upper West Side of Manhattan. 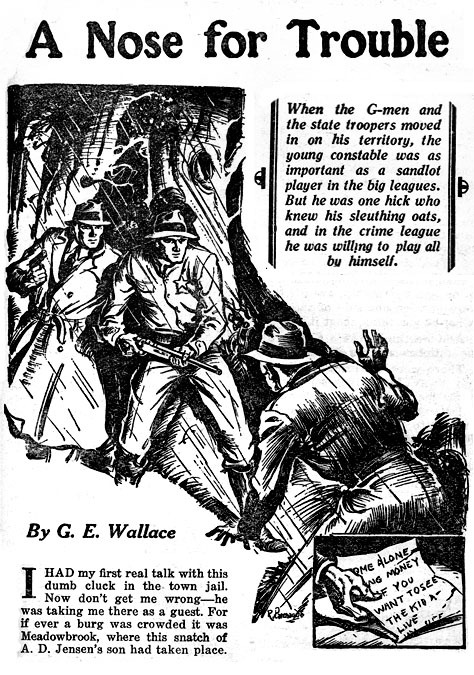 His pen and ink story illustrations appeared in pulp magazines, such as Ten Detective Aces, 10-Story Detective, Variety Detective, Lone Wolf Detective, and Clues Detective Stories. 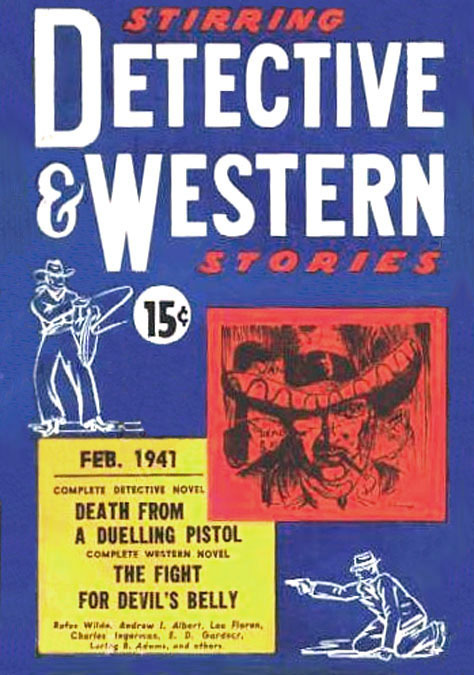 Although it was customary for pulp magazine publishers to use full color paintings on covers there were a few striking exceptions to this rule when line art was instead featured on covers. 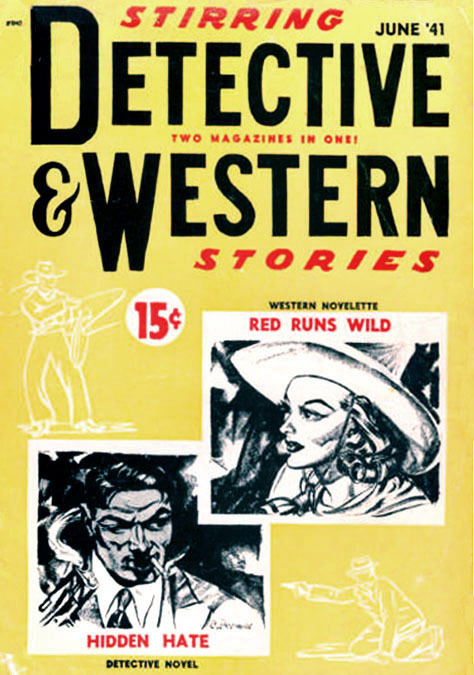 Two such examples were 1941 issues of Stirring Detective and Western Stories, which feature drawings by " R. 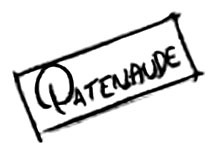 Patenaude." 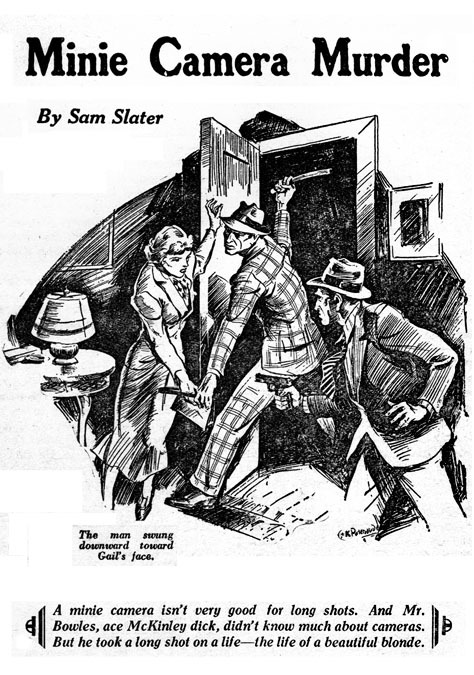 Most of his work for pulp magazines is left unsigned, but a few are "R. Patenaude" or "Patenaude." 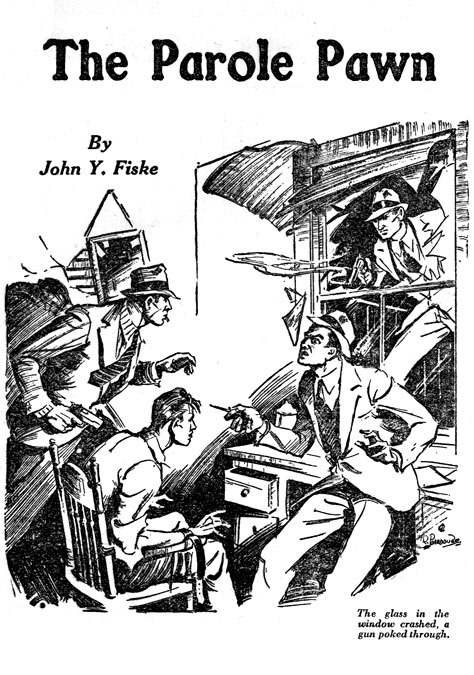 During this same pre-war period he also drew for comic books. 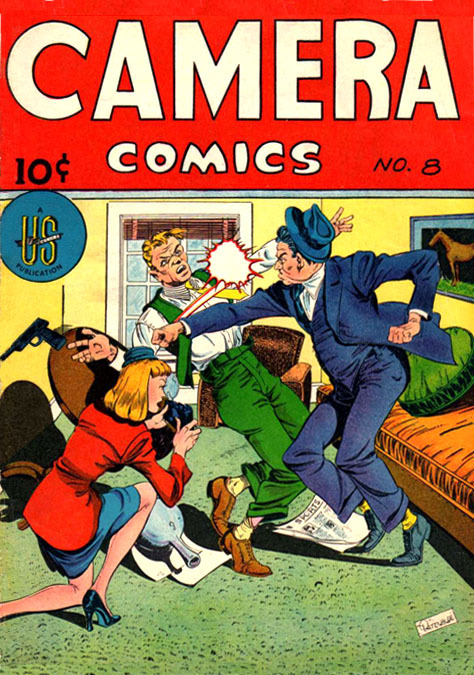 His work appeared in Fox Comics, MLJ, Harvey, Holyoke, Marvel, and Novelty Comics. 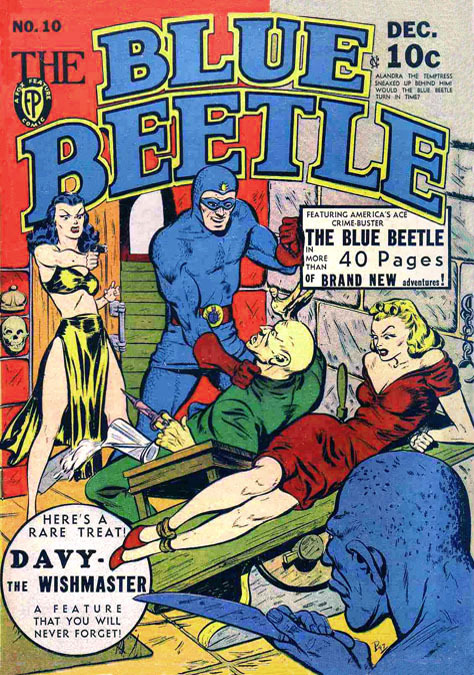 He drew several memorable covers for The Blue Beetle Comics. 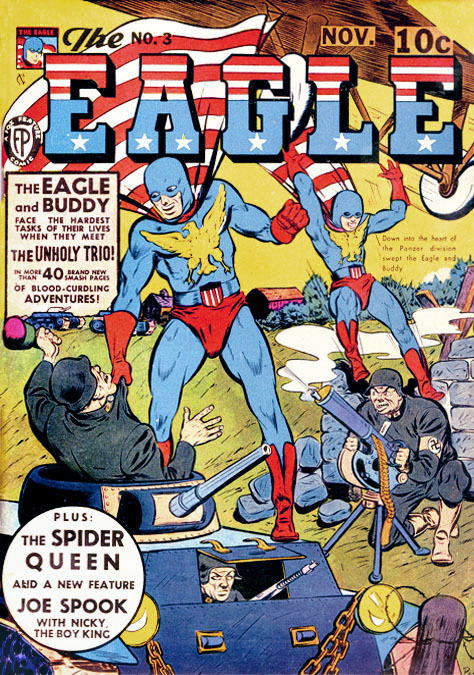 He signed some of his drawings for comics as "Patenaude" or "Pat." On February 17, 1942, three months after the infamous sneak attack on Pearl Harbor, he enlisted in the U. S. Army. He was recorded at the time to be employed as a "commercial artist," age thirty-nine, height five-nine and weight 177 pounds. On October 30, 1945, after WWII, he was honorably discharged at the rank of Technical Sergeant. While in war torn Europe he had fallen in love with Grethe Gundersen, who was born in Drammen, Norway, in 1923. Her father was Frithjof Gundersen. After the war they married and returned to NYC, where at first they lived in his old apartment on the Upper West Side. 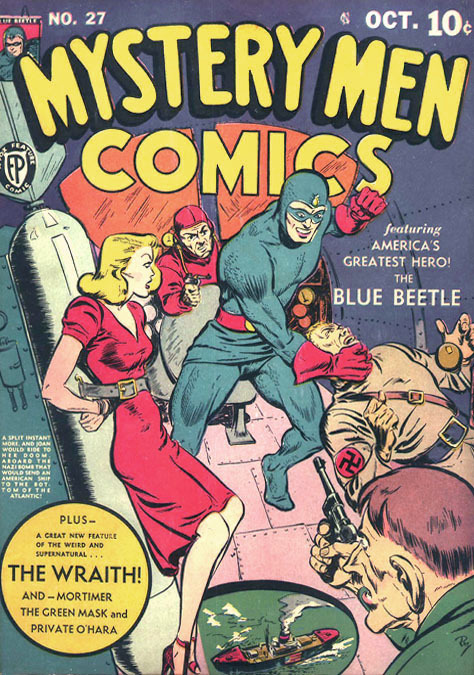 During the Post-War period the pulp magazine industry had lost readership to the growing popularity of comic books, so at first Roland Patenaude tried to resume his pre-war career as a comic book artist. As a returning veteran he was welcomed back in the comic book industry. 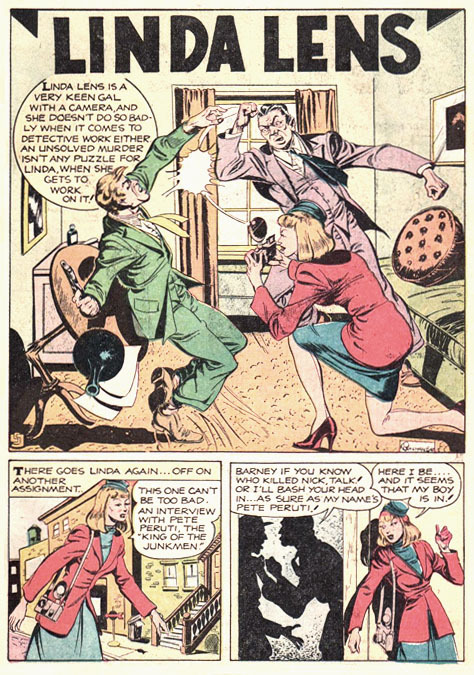 He drew Linda Lens for Camera Comics #8 and #9. His wife was expecting their first child and he soon realized that neither the pulp or comic industry was prosperous enough to provide a stable income for a family, so they left NYC and moved back to his parent's home in Rhode Island. In 1947 their daughter Mary Ann was born. Five years later their second child Karin Marie was born. From 1948 to 1953 he was annually listed in a Boston directory as a "commercial artist" at 2 Park Square, room #87, Boston, MA. His home residence was at 25 Saint Paul Street in Blackstone, MA, which is just across the state border near Woonsocket, RI. By 1952 they had moved to 109 Follett Street in North Smithfield, RI. In 1953 he was listed in a Boston directory at 120 Boylston Street in room #711, where he was self-employed as a "commercial artist." 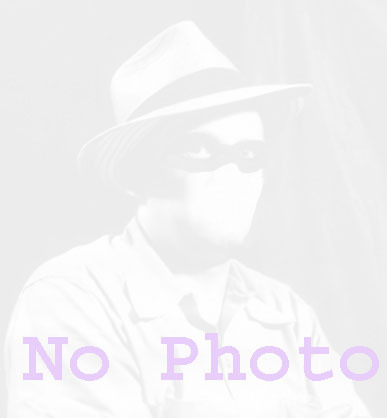 On March 9, 1958 his father, Alfred Patenuade, died in Rhode Island at the age of seventy-three. In 1965 he began to work full time as a staff artist for the advertising agency Creamer, Trowbridge, Case & Basford at 40 Westminster Street in Providence, RI. In 1975 he retired for commercial art. Roland J. Patenaude died at the age of seventy-seven at the Landmark Medical Center in North Smithfield, RI, on December 13, 1989.